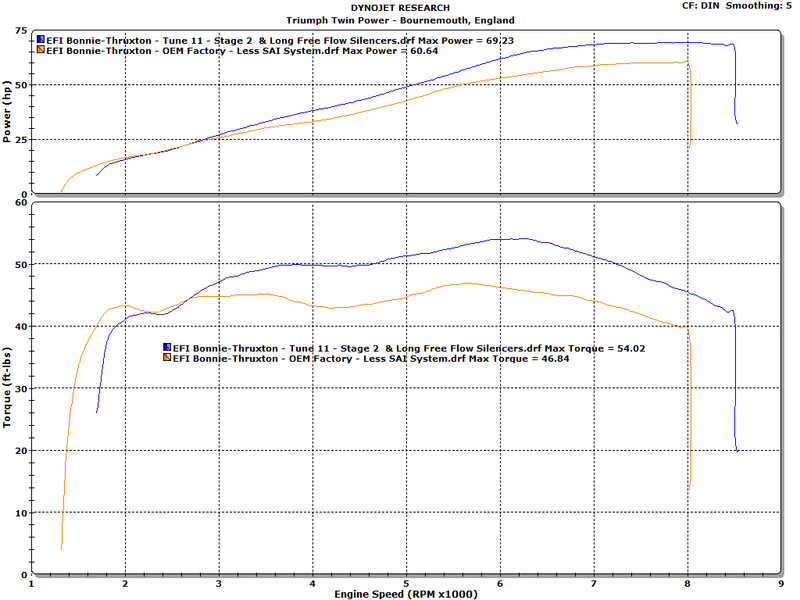 This tune is for Bonneville/T100 owners who intend to install long free flowing aftermarket silencers (e.g. Arrow 2-2, Predators, Dominators, Hyde Peashooters, Hyde Classics, BC Sleepers, Staintune Rev Cone etc.) and DNA high performance pod filters.